Glutamine supplementation has both positive and inconclusive results regarding improvement of athletic performance and recovery. Here we evaluate the current research. L-glutamine supplementation is widely debated in the sports and bodybuilding arena. Being a non-essential amino acid, l-glutamine is easily made by your body via natural processes. More so, l-glutamine is the most prevalent amino acid in the human body. 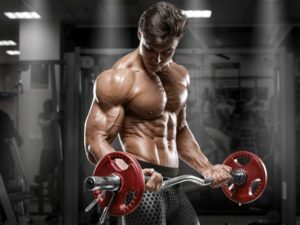 So, is supplementing l-glutamine really necessary? Refuels glycogen stores when carbohydrates are low (1). Aides the immune and digestive system (2). Easily used in energy production. Essential for muscle repair and growth (3). But that doesn’t always mean that l-glutamine supplements are going to directly lead to these benefits. After all, our body is already providing plenty of l-glutamine naturally, which is why several studies have failed to determine if supplementing with l-glutamine actually benefits athletes. This is best summarized in Randy Eichner’s article “Glutamine Supplements: overstaying its welcome”. 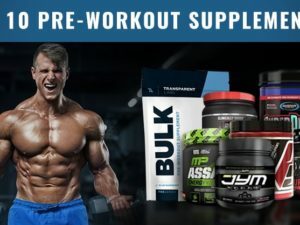 Essentially, Dr Eichner tears up the supplement industry for its current claims on l-glutamine supplementation, which he believes are not supported by current research. To us, Dr. Eichner makes a good argument but takes things a little too far. Because, there has been some positives to l-glutamine supplementation found in clinical studies. A 2012 Iranian study found l-glutamine supplements to reduce DOMS (delayed onset muscle soreness) in the quadriceps. The goal of the study itself was primarily to evaluate the eletromyographic activity of the quadriceps post exercise with l-glutamine supplementation. While there were no conclusive results on the electromyographic tests, participants reported extenuated DOMS which is significant in its own regard. View here. This 2008 research paper titled Clinical Use of Glutamine Supplementation looks into the use of IV l-glutamine in critically ill patients. The conclusion of this paper brings forward the benefits of l-glutamine in warding off muscle wasting and favors an expansion in the use of IV l-glutamine. Now, this obviously is far off from taking powdered l-glutamine intra or post workout. But, it is information worth keeping in mind. In 2013, the clinical study “Glutamine Supplementation: Effects on Endurance, Power and Recovery” evaluated l-glutamine supplementation in athletes over 6 days. By the end of the trial, researchers did not find a relationship between l-glutamine supplementation and acute recovery. But, they did find that l-glutamine supplementation restores power indices and increases endurance. The research above is moderately supportive of l-glutamine supplementation. However, it doesn’t completely hit the nail on the head. L-glutamine is inexpensive – and is often supplemented within a myriad of other studied compounds. L-glutamine is known for being a serious asset for recovery even if the ‘muscle recovery action’ isn’t 100% supported. Meaning, there is a reason that burn patients and critically ill patients receive glutamine supplementation. Dr Zuhl and team set out to evaluate the effects of l-glutamine supplements on gastrointestinal permeability caused by exercise. As they explain, during exercise, it’s common for intestinal cell junctions to loosen and open, allowing cytotoxins and irritants to enter and cause an immune system response. Over a recurring period of time, this may influence the onset of health issues like leaky-gut. By the end of the study, these guys believe that taking l-glutamine supplements daily significantly deterred gastrointestinal permeability (see study here). We’ve always known that glutamine was good for the intestinal tract. But this really emphasizes l-glutamine’s value. After all, you are what you absorb as a bodybuilder or athlete. If you are constantly having an irritable bowel, then you aren’t making gains. Likewise, inflammation is worth avoiding when you’re already putting your body under strain. L-glutamine, in moderate doses is a benefit in the opinion of the BWSB team. Are you going to catch us going out and specifically buying a stand-alone l-glutamine powder? No. But, you are going to see us favor supplements like 8 grams of BCAA with 5 grams of glutamine added in. This is where l-glutamine shines, as an add-on to already great supplements. Do we expect miracles from l-glutamine? No. But we do expect it to work well alongside a BCAA supplement to reduce DOMS, help with recovery, refuel glycogen to a lesser degree, and aid in keeping the digestive tract better off. All of these micro-benefits add up over time, just like every day’s work in the gym.